Mattie McGleenan & his management have named the panel for Sunday’s crucial Allianz Football League Rd 7 game v Tipperary. Throw in is 3pm in Kingspan Breffni. 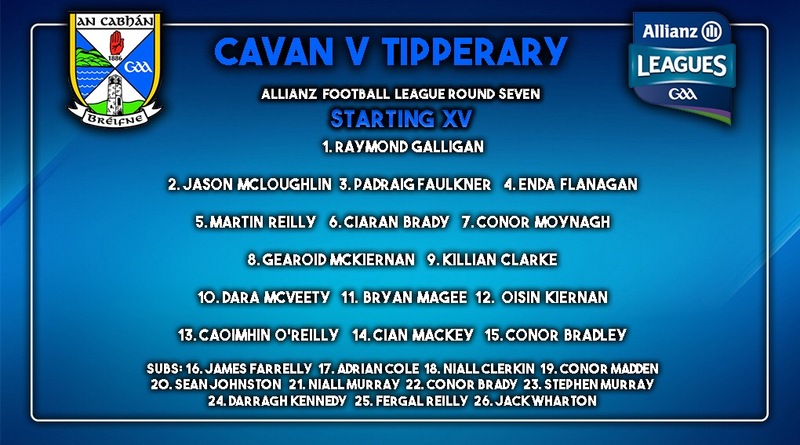 There is one change from the fifteen which lined out against Roscommon last week as Cian Mackey is named to start instead of Adrian Cole. A win for Cavan will secure promotion to division 1 and a place in division 2 league final.